Marianna and I recently took a trip to Pigeon Forge Tennessee. 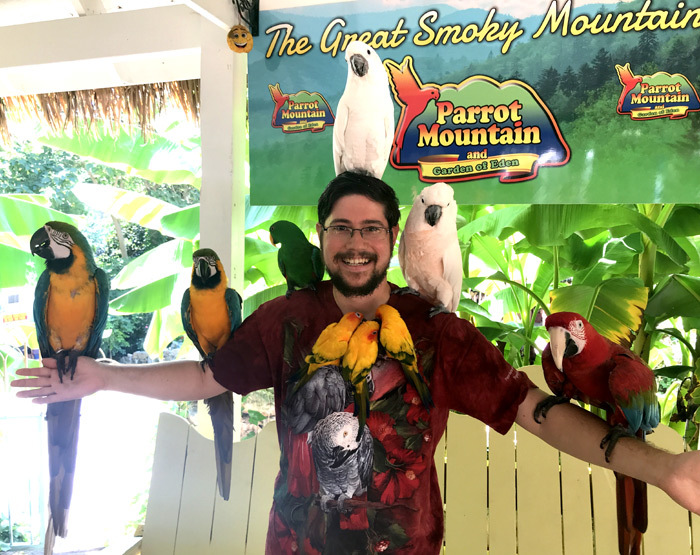 While visiting Gatlinburg, Pigeon Forge, and the beautiful Smokey Mountains, we had a chance to go to Parrot Mountain. 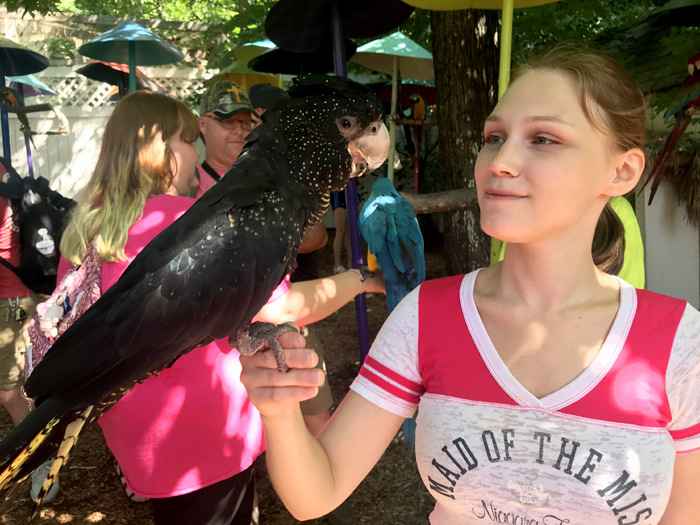 Parrot Mountain is unlike any zoo or bird park you have ever seen! 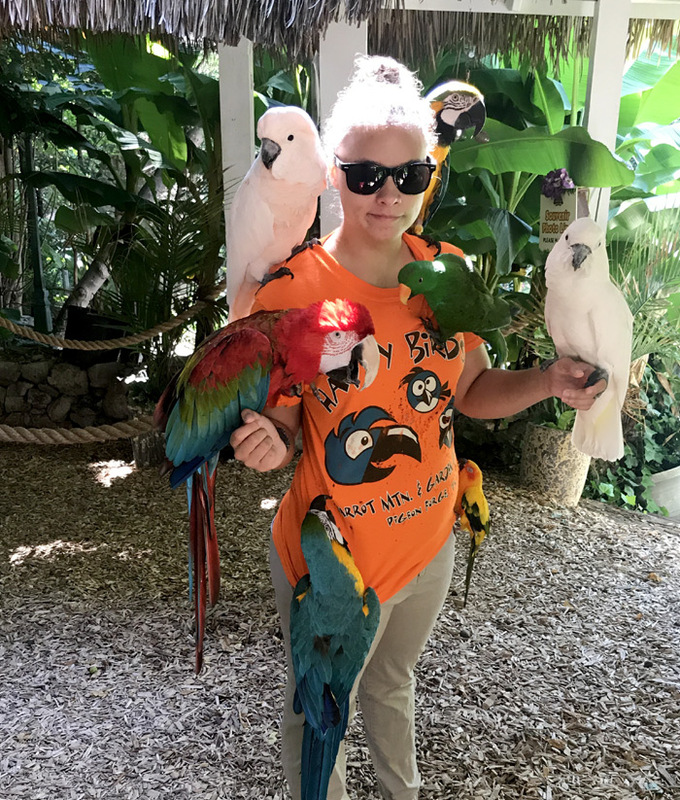 Parrot Mountain is a one of a kind experience for parrot lovers. It is the only major bird park I'm aware of that focuses primarily on parrots. They do have a nice collection of other birds as well, but their focus on parrots is quite unique. A visit to the park starts with some exhibits of various bird species. Then it takes you through a walk through flight aviary. But most exciting of all is the parrot feeding area. They have probably a hundred parrots out on stands that you can see up close and feed. Buy a handful of seeds from the vending machine for a quarter and then you can be the parrots' favorite visitor! We got to see up close and experience too many different species to count but just a few of the more exotic ones included Sun Conure, Blue Crowned Conure, Patagonian Conure, Alexandrine Parakeet, Great Billed Parrot, African Grey, Cape Parrot, Eclectus, Scarlet Macaw, Military Macaw, Hyacinth Macaw, Moluccan Cockatoo, Sulphur-Crested Cockatoo, and Red Tailed Black Cockatoo. Marianna had a field day getting to feed and hold the female Red Tailed Black Cockatoo. She recalled how we got to see them in the wild in Australia, but not anywhere near as close! Some of the parrots on exhibit were brought a long time ago from the wild, others were bred at Parrot Mountain, and others were relinquished. The park acts as a complete facilitator of parrots in the region. They breed, sell, display, and accept rescued parrots. You can see the babies for sale in their nursery building. Parrot Mountain is famous for offering to have your picture taken with close to a dozen birds. I was amazed not only how cooperative and patient their photo-parrots were but also how well they all got along with each other. The woman who brings them over for photos can be seen walking with a dozen parrots hanging off her chewed up shirt from every side. It was almost as though their beak was a carabiner hook for clipping onto her shirt. She was truly a parrot taxi! They have a lorikeet feeding aviary where you can have lorikeets fly up to you and sip nectar. Parrot Mountain also houses the "garden of eden," a secluded Christian exhibit in the forest covered country side. They also have a small cafe (with parrot on the menu) and a gift shop with lots of parrot related merch. 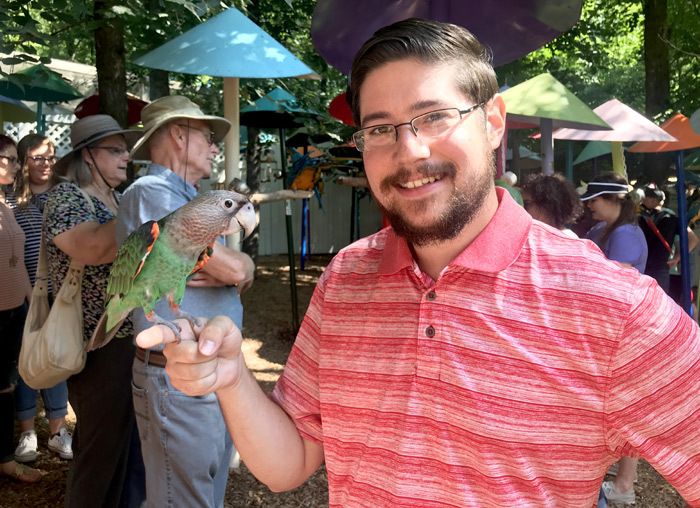 All around a must-see sight for any parrot lover visiting the Pigeon Forge area in Tennessee and even a reason in itself to head out there.